Conveniently situated just west of the popular town of Fuengirola, the San Diego Suites is the first phase of the magnificent and stylish California Beach Resort development, a unique concept designed to offer the most sophisticated, state-of-the-art family holiday complex. Our Premier accommodation at San Diego Suites ranges from studio to 2-bed apartments with air-conditioning, private terraces and well-appointed kitchens. 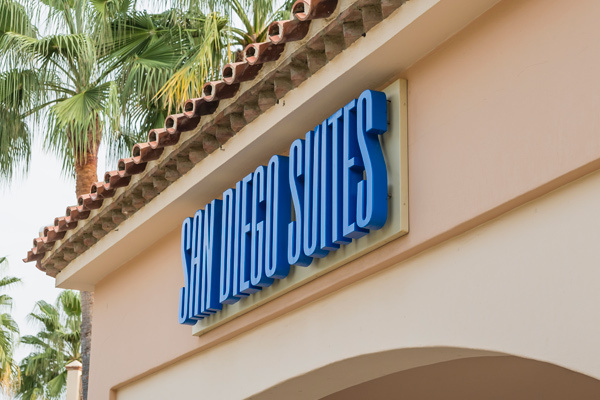 The San Diego Suites has two excellent restaurants and a resort fitness centre, which features the very latest facilities including a fully equipped gymnasium and aerobics studio.